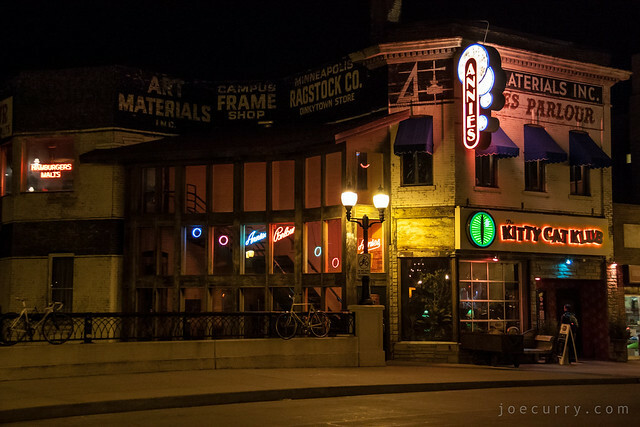 Things in Dinkytown were pretty quiet this Tuesday night before Thanksgiving weekend. I needed a haircut, and Hop’s Salon is right around the corner from Annie’s Parlour. I love that place–best campus shakes when I was in college. I’ve had many reunions there and that’s where my friend Erika and I celebrated finishing our last final exam of our college career. Yes, I celebrated with a butterscotch shake and fries. I’m so wild.